iMP Gaming saw a need and came up with a solution to try and meet it. Triggers on controllers can often get a bit slippery. Some games hardly use the triggers, relying heavily on face buttons, but shooters and racing titles in particular lean every heavily on the triggers. Unlike the shoulder buttons just above them, triggers have a tendency to be held. 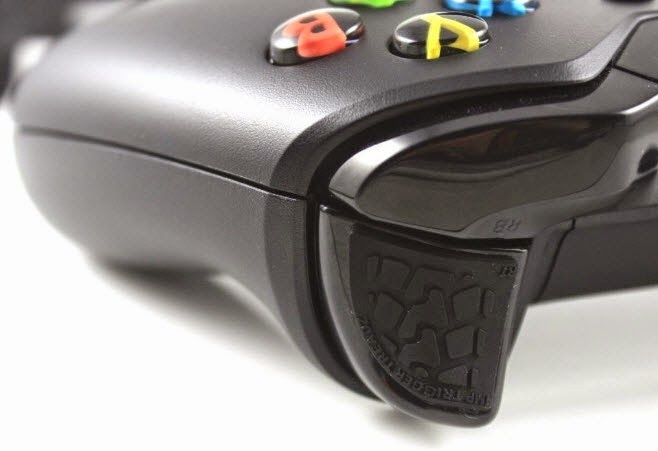 While the Xbox One and PlayStation 4 controllers have a nice contour to their triggers that make it harder to slip off of them, the idea behind Trigger Treadz is a solid one - add some traction to those hard plastic surfaces. I had a chance to try these out on both the PlayStation 4 and Xbox One controllers. Each Trigger Treadz package comes with four adhesive backed pieces of rubber - a left and right for two different patterns. Sticking to the tread theme, one set is referred to as Racing Rubber and the other as All Terrain. They each have a different texture to them, though their functionality is the same. Applying the rubber pads is easy due to the adhesive under the pull away sticker on the backs of the 3M silicon rubber. You do have to pay attention to two details, however. The first is which side the triggers go on - they are designed for a specific side. There is just a bit of lip on them where the trigger's surface is larger than the pads, but not much and I certainly do not feel that edge when I am using them as the pads of my trigger fingers are settling right on the rubber. The other thing that you need to take care of is properly cleaning the triggers on your controllers. I have read reviews that claim these come right off after application, but I find that unlikely on a clean trigger given my own testing. The Xbox One triggers are very smooth - so they are easier to clean but also benefit the most from the Trigger Treadz for this same reason. I like the contours of the Xbox One triggers better, but they are very smooth on the controller, so the Treadz immediately address that concern. Also not that there are two different kinds of Trigger Treadz. Given that the controllers have different shaped triggers, make sure you get the right one for the proper brand. Cleaning the PlayStation 4 trigger is a bit more work, but that is because it is textured, almost porous surface. They clearly retain grime and hand oils better - something I had never considered before cleaning the controllers off before applying the Treadz, but there was a notable amount of grime that came off of the cleaning cloth I used on the PlayStation 4. I decided that racing games would be the best test of these, so there is frequent, prolonged squeezing of the triggers to accelerate (or to brake suddenly, requiring a different kind of rapid, hard pressure on the opposite trigger). After nearly two dozen hours, there was no evidence that any of the eight treads (two PlayStation 4 controllers, two Xbox One controllers) were slipping out of place. The adhesive was doing its job well, and the triggers themselves certainly feel better. 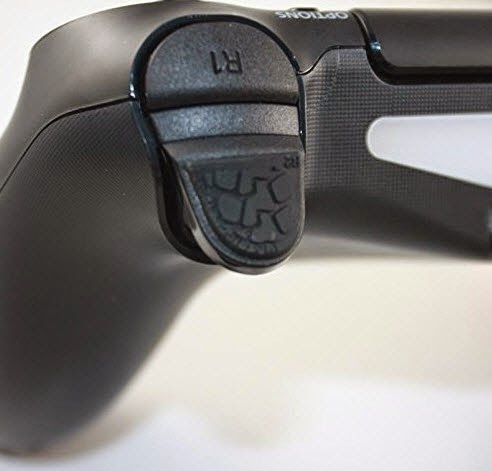 Now for me personally, this was more about the texture on the triggers. I have large hands and long fingers - I was not prone to slipping off of the controllers when I played games. Not that my son himself is prone to it, but he has much smaller hands as he is still a teenager, so I had him using them as well. He played more shooters using them, but his overall impressions matched my own. While they do not seem to produce any sort of direct gameplay improvements, they are comfortable and his fingers were able to stay on triggers longer more comfortably. This was especially true in shooters that had lengthy periods of holding down the trigger for 'spray and pray' scenarios, though less pronounced when using short burst weapons. 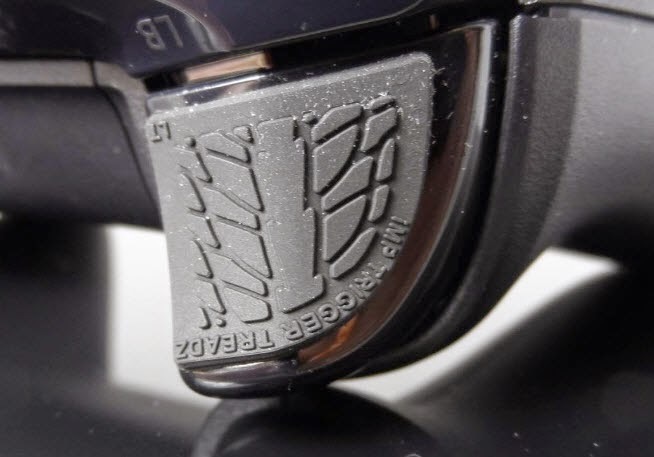 For me the Xbox One Trigger Treadz were a bit more noticeable, just because they made such a significant difference with the surface texture. Both console controllers benefit from them if you are a gamer who is looking for something different to try with your controllers, or like me actually enjoy a textured feel over a smooth one on the triggers. The Trigger Treadz are sturdy and they stick well, though they do take just a bit of preparation work to apply them. Hardly a must-have accessory but of a personal preference item that does exactly what they advertise and do it well.